On a windows PC , there are many workarounds to remotely shutdown your computer . If you browse through the internet , you will find a lot of how-to guides which will guide you through the process of remotely shutting down a PC , either by using Microsoft outlook or the Thunderbird email client . While all those methods definitely work , but they are not a direct approach to remotely shutting down a windows PC . Which is why i have found out an easier solution to remotely shutdown a PC from anywhere . All you need is an phone or a computer with an internet access and shutting down your PC will be just a click away . In this how-to guide we will be using Airytec Switch Off , a free program which is a around 100 Kb in size and works on most windows operating systems including windows 7 and windows 8 . The program does not has a windows based interface , but it can be easily accessed from the windows notification area . Feature wise apart from the remote shutdown feature , this small program can also be configured to perform multiple tasks such as automatic shutdown , restart or logging off your windows PC . The program does not need any additional framework or libraries to run and works perfectly even if your windows account is logged off . 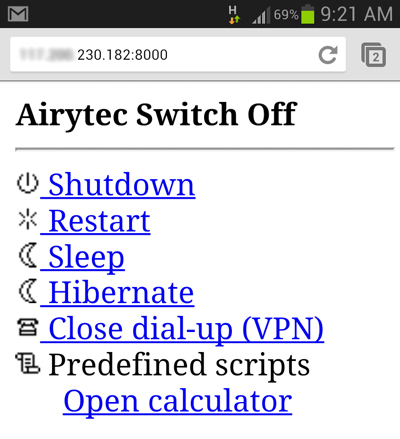 Now lets move on to find out how we can use Airytec switch off to remote shutdown your windows PC . Step 1: Download and install any version of Airytec switch off on your PC. 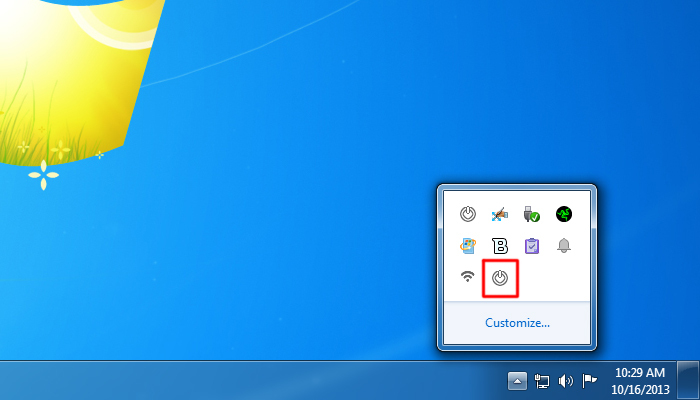 Step 2: After the program is installed , Expand the windows notification bar and double click on the programs logo . Step 3: From the select schedule drop down menu , select a schedule and set a time period for the executing the action. 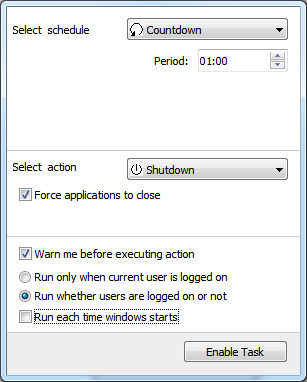 Step 4: Next select shutdown from list of actions and check the “ force applications to close “ , “ warn me before executing the action “ and “ run whether users are logged on or not “ options . 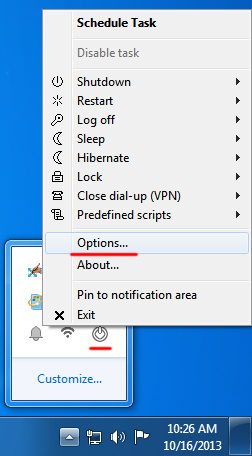 Step 5: Now from the windows notifications area , right click on the programs logo and select options . 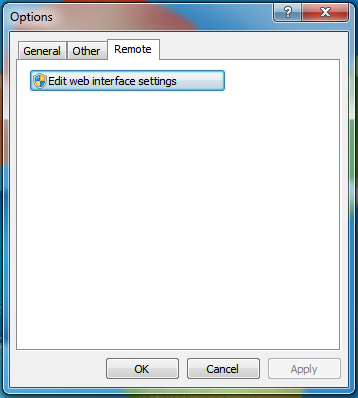 Step 6: Select the remote tab and click on “ edit web interface settings” . 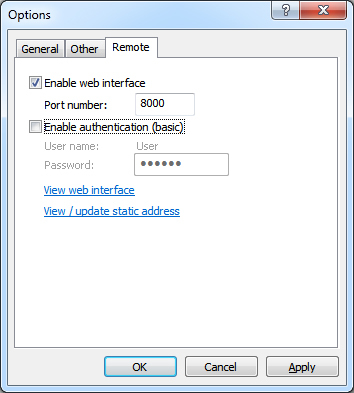 next check “ Enable web interface “ , do not check the ” enable authentication ” option and click on apply . Step 7: Click on ” view / update static addresses ” and note down the switch off URL , or even better add it as a bookmark in your phone’s browser for easy access. Step 8: Next double click on the program’s icon in the windows notifications and click on “ Enable Task “ . Step 9: Now the program is all set . just open the IP address that your bookmarked on your phone and you should see a similar interface as below . Step 10: Tap on shutdown and the program will initiate the shutdown countdown on your PC . Thats it , now you can shut down your PC from anywhere by just a single click . This is by far the most easiest method and it doesn’t even require you to install any pp on your Android or iOS phone .